This Freelancer watch will tempt you with its smooth design. 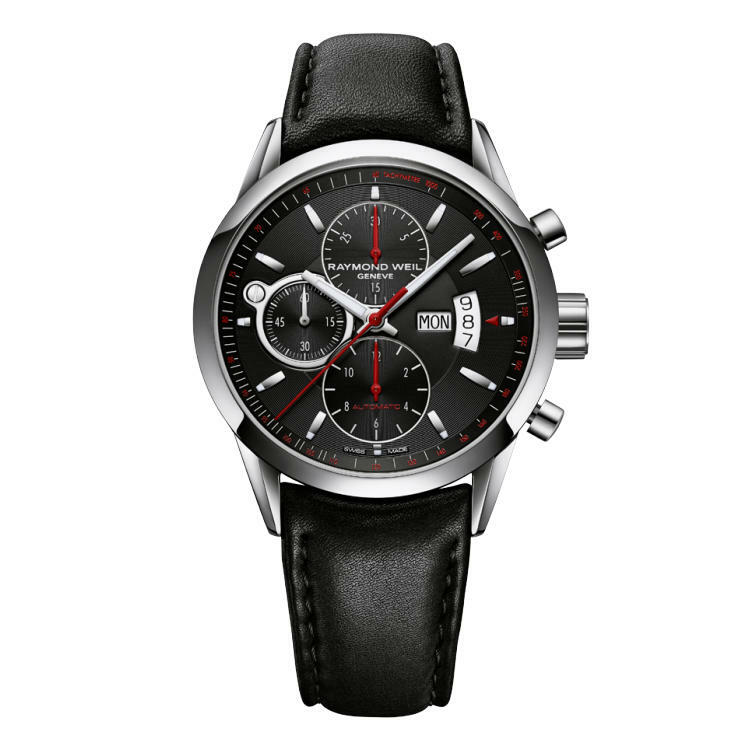 The chronograph function offers a masculine and sporty feel with its dashes of red and the black leather strap adds to the elegance of the ensemble. The mechanical movement offers a 46 hour power reserve and day and date windows at 3 o'clock. This model is ideal for the modern man with a touch of elegance, who wants to assert his style.